On 9 May, we will see the glorious parades in Moscow, Minsk and Kiev again, indicating that the legacy of World War II still? determines today’s politics in the region. 9 May of 1945, marking the end of WWII, is the most important day enshrined in the collective memory of all post-Soviet societies. During the Cold War, this day was meant to celebrate the unity of the Soviet Nation, and now it serves the same purpose for “Grand Russia”. 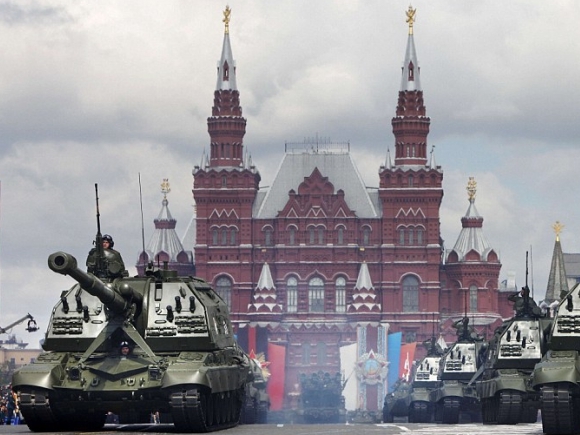 The Victory Day on 8 or 9 May marks the day, that supposedly the legendary Soviet army defeated Nazi Germany in 1945. Regardless of whether this celebration is based on any historical facts–, in Russian terms the Soviets mainly (if not alone) defeated the Germans, without any involvement of the “West”. The victory day of 1945, surprisingly enough to Westerners, serves as legitimatization by the modern usurper’s and self-determined autocrats in the region such as in the Ukraine, Russia, Belarus and beyond, to mobilize masses and create radical conflicts. These unresolved myths of the victorious past could only survive because it perpetuates stereotypes of Fascist enemies in Europe versus protective paternalistic friends in the East. It legitimizes the divide in Pro-Russian versus Pro- Ukraine’s, or Pro-Russians versus Pro-Europeans. There is no in-between, there is only black and white. Consequently, over the years a hostile rhetoric led to a civil war in the Ukraine. And this is just the beginning. Political observers are not surprised, it seems that the current situation is the natural consequence of the events of the past few months. And it will also spill over to the whole region. Because nationalism does not leave room for pluralism but will always lead to conflict. To use the remaining past 25 years since the collapse of the Soviet regime to create a pluralistic and equal society would have been the basis for a democratic and peaceful society. Instead, to unite a nation that is as diverse as the Russian, ti would have required a common ground and narrative, even if the events happened almost 70 years ago. What might come as a bit of a surprise is that the undealt legacy of WWII and the Soviet Union (again) serve as a fruitful ground for this hate, mistrust and rise of usurpators and dictators. An ineffective economy based on natural resources and oligarchy is already reason enough for a collapse – sooner or later. But interestingly enough the ideological path goes beyond the misconduct of economic powers, corruption or inequalities in societies. It goes back to the power games during and after WWII. Even the sophisticated and eloquent Russian Foreign Minister, Sergei Lavrov, could successfully evoke the old myth of the rise of Fascism and its consequences in Odessa last week, as a root cause for the hostilities against the “peaceful Russian Nation”. On the 9 May, president Vladimir Putin will even tribute his time to visit his new victorious accession, the Crimea. And Putin’s closest ally in the neighborhood, the Belarusian dictator Lukashenko managed to bring on 9 May theWorld Ice Hockey Championship to the last socialist dictatorship in Europe to Minsk. It sounds like a glamorous fairy tale of supremacy of autocracy à la Putin on all fronts. The opening ceremony in Minsk on such a symbolic day will go across all news channels in the world. The military parades will be more spectacular than ever, the streets cleaner than usual and the shops more Western style than ever. But people and citizen in the Belarus watch the changes and war in the Ukraine with fear. Who is the next prey of the emperor in the region, after the Championship is over? One should not underestimate the power of history and legacy, more so, if it is not reflected and dealt with in the context of historical, political or restorative justice processes. Transitional Justice processes could have helped to demystify the past and bring the societies together. Many more parallels are drawn these days. Many of them show the rise of conflict and war in Europe in the past. Drawing parallels are often a risky maneuver, but they help to contextualize. We read these days a lot about the comparison between 2014 and the rise of WWI in 1914 in Europe, or the secession process in the former Yugoslavia and the Ukraine. This might all be valid points and do not need to be repeated. But moreover there is another striking parallel to me, that of Sochi and Sarajevo. Sochi 2014 as Sarajevo of 1984? 30 years ago in 1984 the colorful and peaceful Olympic winter games in Sarajevo in former Yugoslavia were seen as a milestone towards the careful opening of the former communist bloc-countries to democratization. A wind of change to democratic ruling and human rights it would be. No one would have ever anticipated then, that only a few years later, the very same city of peaceful games would be the center of an enduring atrocious ethnic, linguistic, religious and political cleansing. That war only ended in 1999. A generation later, in February 2014, Olympic Sochi in Russia aimed to be seen as an opening of an autocratic regime to the modern world of democracy, prosperity, peace and economic development. Instead, as we now see, Sochi marked the beginning of violent nationalistic movements, upheavals, riots, protesters and mass discontent in the post-soviet region. Troublesome unrests, protest and killings marked the path since Sochi from Transnitrian, Odessa, Kiev, Minsk to Moscow. Maybe the comparison between Sochi and Sarajevo is too ambitious for the time being. Nevertheless, the similarities of events following the games cannot be denied. Neither can be the power and misuse of the parades and ceremonies of 8/9 May. But did the post-soviet societies in the Ukraine, in Russia, Georgia, Belarus or Moldova ever stand a fair chance to peaceful democratic transitions? The answer is probably no. It order to do so, they would have needed to critically reflect on the legacy of their imposed ethnical and linguistic identity that in reality never existed. The new autocratic regimes in the region, of which Belarus is the most socialistic one, and Georgia probably the most pro-European, could not build on what was an artificial construct, that depended on the good will and supplies from Moscow. And yet, in times of crisis or simple discontent, all these regimes have proven to be non-resilient to democratic reforms, citizen’s movements or economic uncertainty. These political regimes and their political, civil and economic institutions would have been more resilient if based on pluralism and human rights which give leeway to diverse and creative problem solving mechanisms. Therefore, these societies would have had to use the past generation and 25 years to confront their own unjust pasts with historical, political or criminal transitional justice measures. Historical or truth commissions, trials, restorative claims, compensations and public acknowledgements such as apologies and memorials of the millions of civilian deaths and wrongdoings not only of the atrocious Nazi-regime till 1945 but also of the Soviet regime between the 1930s and 1990 would have not only delegitimized the often one-sided and falsified historical narrative of 8/9 May. 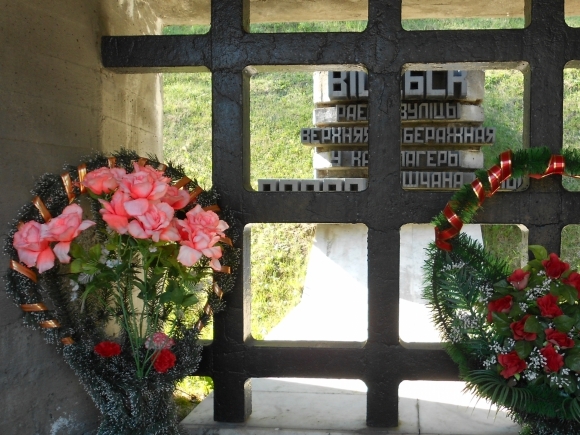 Instead, the shortcomings of the inefficiency of Soviet-style socialism is hidden, memorials to victims of the Soviet regime remain private initiatives, and the past is hardly ever the subject of political debates. Inclusive transitional justice measures would have demystified some of the dangerous “truths” about glorious Russian supremacy, and instead legitimized the new and though different and fragile democratic institutions. They would have helped to justify why democratic institutions and the rule of law may be the better alternative to sustainable development of all members of societies than dictatorships prove to be. But unfortunately, the historical narrative never changes. 8/9 May remains glorious and with it the Soviet regime. No wonder that now, when the corrupt and fragile regimes in Ukraine, Belarus, Azerbaijan, Moldova or Russia itself were not able to solve their economic and political problems with democratic means, there is a return to the heroic past and nationalism as an exit-strategy. Why then, if the Soviet regime was the best of all political alternatives, did it collapse in the 1980s in the first place? First Georgia in 2009, now the Ukraine in 2014, tomorrow Moldova or Belarus? Russia can not provide the alternative to solve their problems, not even with petro and gas dollars. Instead they use the momentum of fragility to regain power based on the same imposed nationalistic, ethnical or linguistic identities – regardless of how reasonable that seems to be. But overall, they use the victory of 1945 as the unifying narrative of the Russian Nation. It is a dangerous and serious game that the Russian President Putin is playing in the region, similar to the one that Slobodan Milosevic once played in former Yugoslavia when he revoked the past to justify the war that lasted over a decade in the Balkans. We know how the Balkan war ended; and it is likely that the crisis in Georgia and now in Ukraine are just the beginning of similar long term ‘nationalism’ and power struggles. They all have their root causes in common in the undealt past – pre and post 1945. However, that allegory no longer works. Instead an identity gap remains. Capitalism, oligarchy, heroism, pre-Soviet heritage and modern-patriarchy cannot replace it. Nevertheless, the Russian government successfully transferred the former Soviet states towards market economies, invited Western companies and held Western Fashion shows. That alone cannot be the reason for the violence that is currently emerging? The one you can resolve with money, but ethnical divides, racism or nationalism can only be resolved with money. Transitional Justice measures would have been a way out. It is never too late to start with it now. Even Vladimir Putin’s latest idea to return the former Soviet states into his Euro-Asia Economic Union idea from 2011, does not deceive from the main purpose of the current politics, namely to reunite the former Soviet Empire by the old Roman policy of ‘divide et impera’. He proposes a union based on non-democratic regimes, whereas the European Union is based on democracies or emerging democracies. The Putin administration is trying to bring back Russians to their homeland in Soviet Style but in modern “Western” dress. Belarusians even believe that they can have an isolated socialist regime within Europe and all its material benefits but not its values or behavior. No ‘spill over effects’ in Belarus, I was assured during my last trip to Belarus, in April 2014. What happens elsewhere in the world will never happen in Belarus. Why do I have doubts about that claim? I recently returned from a journey to Belarus. A country that since 1994 is in firm autocratic hands of president, Alexander Grigoryevich Lukashenko who likes to be called “Batko Luka”, father or Papa Luka. 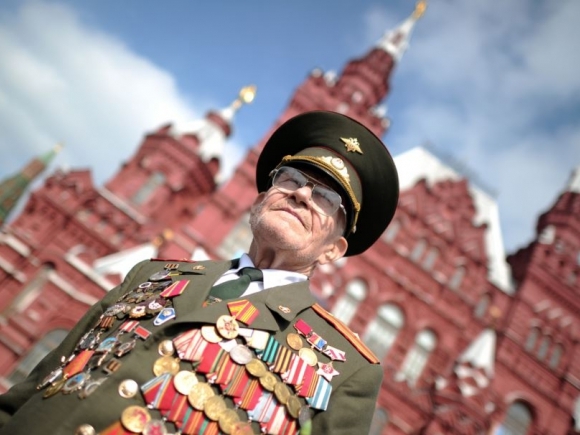 He swears to the Soviet legacy and 9 May is the most important day of the year for him. It represents the ideal of a paternalistic-autocrats. Papa Luka likes to advise people how to raise their children and solve their marriage problems. His autocratic way of governing the country is based on the fact that he pays pensions on time, allows the youth to enjoy a Western lifestyle, with free commerce and traveling. With considerable success. He provides ‘his citizen’ with what he or she needs and desires, mostly by providing the population with ‘ bread and games’. Now with the World Ice Hockey Championship starting on 9 May, with refurbished casinos, western fashion boutiques, fancy German cars on the streets of Minsk, smartphones, free Wi-Fi areas across the country – all paid by loans– the illusion that Belarus is a modern country based on socialist values is overwhelming. The experiment would have almost succeeded if there were not the daring rules of market economy and the human desire for freedom. Papa Luka pays the pensions and games by loans from Russia and China. His intellectual elites, youth and opponents live and work in Vilnius, London and Berlin. This sounds anything but a sustainable development for the country. We will have to wait and see until the Championship is over, as in Sochi and once Sarajevo. Belarus could be the final indicator for the dramatic change in the region. If the firmest and most truthful supporter of Putin’s myth of glorious past refrains his solidarity from Moscow, then the decrease of “Putin’s empire” has come near. We are living in intense, violent and uncertain times, because president Lukashenko is nervous, very nervous, while watching the developments in Ukraine. In one of his four-hour addresses to the nation on 22 April 2014 he highlighted the importance of unity and independence from Russia, knowing that both is impossible. He knows that Belarus will be one of the next countries to be succeeded into the Russian empire. Belarusian identity is based more than any other post-Soviet country on the legendary myth of the glorious Soviet Union’s victory over Nazi Germany and the fact that White Russians are the pure Russian race. Transitional justice measures never took place in an inclusive way that would have invited all citizens – regardless whether they were pro-Russians or pro-Europeans in the current context – to participate. Instead the legacy of the past was used to divide the country and create an exclusive, pure-White Russian, society. Consequently they belong to the fatherland of Russia – even if Putin only considers Belarus as a backward province of its Russian empire. The backwards looking regime in Minsk has no engine and gives no incentives for sustainable and innovative development. Its regime is entirely based on the past myth which has never been delegitimized to build a new society that reckons with the past. Corruption is a national disease that can only be counteracted through democratic institutions. But thus institutions again are based on the Rule of Law and a great level of civic trust in them, to which transitional justice measures would have contributed. The once so strong ties, the legacy of the glorious Soviet Empire based on the lack of confronting its own atrocious past, will facilitate the decline of Belarus. Spotless subway stations, colorful painted village houses throughout the country will not do it. Fancy dressed city people and free Wi-Fi spots will no longer cover the fragile economic and political basis on which this country is build. I will not even give details about the numerous political prisoners and human rights violations in the country, because they seem a logical consequence of thisgovernance regime. Ukraine’s faith will also determine the pace of the change in Belarus as elsewhere in the region, including Russia. If violent secession in Ukraine continues, the hidden divide of all societies in the region might emerge. Belarusian might be the last country to collapse, but it would be hard for it to resist the domino effect in the region. The conflict in Ukraine is a war amongst a generation of pensioners against youth and among those who seek more westernization as a way to overcome crisis versus socialism based on false myths. The resistance or decline of the Belarusian regime could indicate either the victory of Putin over the West and thus democracy, or the end of the notorious autocratic-oligarchic regimes. If that happens, once more the hope of Olympic games to bring peace and reforms to a region will drown in the faith of history – and Sochi of 2014 will stand for the decline of a society, as Sarajevo once did in 1984. With thanks to Jill Coster Van Voorhout for her valuable comments.